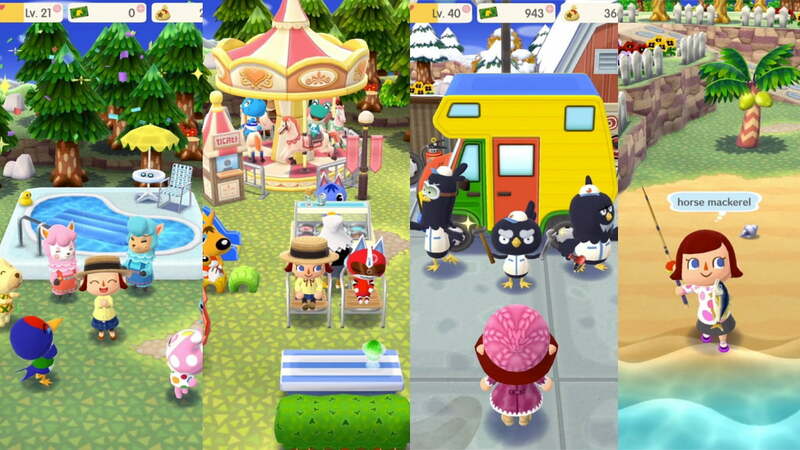 Nintendo is starting to branch out with apps, and their newest release is the highly anticipated Animal Crossing: Pocket Camp. Like its predecessors, Pocket Camp is very addicting. In Pocket Camp, your character runs a campsite, and the goals are to make it perfect for the animal visitors and to build friendships with the animals. To do this, you must craft special furniture and complete tasks for the animals. Like in the other versions of the game, you can fish and collect bugs, but there isn’t as big of a variety and less skill is involved. Pocket Camp is basically Animal Crossing Lite. By playing, you get a taste of the game, but there isn’t much to do, and you can’t collect nearly as much. Clothing options are limited, and a lot of iconic furniture collections are noticeably absent. Some characters from the series have returned, but I have yet to run into any of my favorite animals. Players may also miss the village aspect of the game and upgrading their houses. Players do have campers that can expand and decorate, but it isn’t the same. The app is free, but like most world building apps, there is a premium currency. Players can use Leaf Tickets to make gameplay easier and if they run out, it is possible to purchase more. It’s fairly easy to earn and save these tickets, so completely free gameplay is possible. No matter how many Leaf Tickets you buy, you won’t be able to stop the game from becoming boring fast. It’s too easy to level up and max out friendships with the animals. After a certain point, you can only increase friendships with animals that like the camp theme that you picked and even so, there isn’t much incentive to. The tasks become repetitive and boring, and when you unlock new animals, the cycle repeats. Still, the game is very new and Nintendo might release more content in future updates. It’s also possible that more gameplay will be unlocked the more players play and reach higher levels. For fans of the old games or people who like the app and want more, I would recommend Animal Crossing: New Leaf for Nintendo 3DS. The graphics are amazing and there is way more gameplay than in the app. The console isn’t exactly cheap, but if you buy it used or score a holiday deal, it’ll be worth it.